About Picture of the Day @Wisdomsdoor.com, Warm Sun Brings Healing: A good mantra coupled with a nice picture can bring about profound changes in your reality. A mantra is one of the many reality creation tools available. This picture and the mantra are designed to help bring healing. Focus on the picture and recite the mantra: “Warm Sun Brings Healing.” You can also use add the Enochian at the end of the mantra as well if you want to increase its power. ROR-OLAP (pronounced: Roar Oh-El-Aa-Pey). 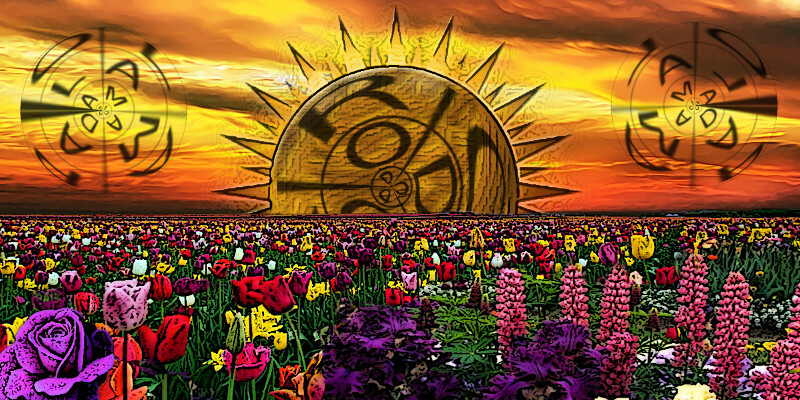 ROR is the energy of the sun. OLAP is a perfect state of being. You can create your own homemade mantras using any language. Basic guidelines for a mantra is that it should be short and poetic. Perfect grammar is not necessary. What is important is that the mantra flows from the mouth (or mind if you are thinking it) easily. Repeat the mantra over and over again for several minutes to help sink it into your energy field and ultimately into the subconscious mind. With this mantra/picture combo, meditate on the picture as you recite the mantra. Let the soothing energy settle into your being. Then continue on with your day, carrying the healing energy with you. This picture incorporates the Enochian Healing formula ROR-OLAP to increase its healing strength.